Stormwater pollution from point sources and nonpoint sources is a challenging water quality problem. Unlike pollution from industry or sewage treatment facilities, which is caused by a discrete number of sources, stormwater pollution is caused by the daily activities of people everywhere. Rainwater and snowmelt run off streets, lawns, farms, and construction and industrial sites and pick up fertilizers, dirt, pesticides, oil and grease, and many other pollutants on the way to our rivers, lakes, and coastal waters. Stormwater runoff is our most common cause of water pollution. Because stormwater pollution is caused by so many different activities, traditional regulatory controls will only go so far. Education and outreach are key components to any successful stormwater program. 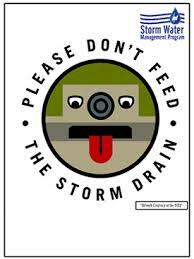 The National Menu of Best Management Practices for Stormwater Phase II was first released in October 2000. EPA has renamed, reorganized, updated, and enhanced the features of the website. These revisions include the addition of new fact sheets and revisions of existing fact sheets. Because the field of stormwater is constantly changing, EPA expects to update this menu as new information and technologies become available. Therefore EPA invites you to submit comments on the existing fact sheets and suggest additional fact sheet subjects. In 2003, the Pennsylvania State Department of Environmental Protection (PA DEP) began a stormwater management program called the MS4 in urbanized and developing areas of the state so that the Townships could better monitor and manage the pollutants that enter our waterways as a result of stormwater runoff. South Coventry Township was selected to participate in this program because of our proximity to Pottstown, which is an urbanized area, as well as the fact that it is a developing community and has exceptional value streams. As a result, the Township has created this portion of the website to educate our residents about this issue. We hope that you not only find the information contained in these links as informative, but that you also utilize the information to help us keep our local bodies of water of exceptional value. WHAT NPDES MEANS TO YOU? Citizen involvement is an important part of the National Pollutant Discharge Elimination System (NPDES) permit program. Citizen involvement occurs at the time of the initial State NPDES authorization process, through submission of public comments and participation at public hearings, and may occur during any substantial program revision. Citizens may also participate in the Federal rule making process where NPDES program requirements are established. Citizen participation helps to ensure the NPDES permit program is working effectively in every community. WASHING THE CAR CAN BE LOTS OF FUN BUT…..
Did you know it can benefit your lawn, too? It’s true! Just pull your car onto the grass and wash it there. Your lawn will gladly soak up the water. Plus the grass will break down the soap and absorb any phosphates for use as fertilizer. Keeping soapy water out of storm drains and ditches protects water quality. 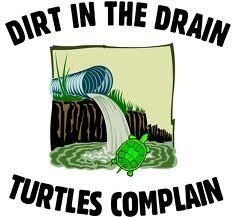 That’s because anything that enters storm drains or ditches is headed straight for your local lake or river. No filters, no treatment. If you can’t wash your car on the lawn, use a commercial car wash. Regulations require commercial car washes to collect and treat the wash water. The DEP homepage is www.dep.pa.gov. On the homepage, selecting “Site Map” from the right side margin will cause many topic links to appear. This appears to be the closest approximation to the former “A-Z” menu option. Users can always use the “Search” option to find information. On the Site Map, Stormwater/MS4 information is located about 2/3 the way down. Stormwater information can be located by selecting the “Businesses” tab along the top of the homepage, then the “Water” tab, then the “Bureau of Point and Non-Point Source Management” tab, then the “Stormwater Management” tab, and the Municipal Stormwater tab. Water Quality Standards information (e.g., TMDLs, designated uses, impaired waters, etc.) can be located from the “Bureau of Point and Non-Point Source Management” tab, then the “Water Quality Standards” tab. At this site, users can view the 2014 Pennsylvania Integrated Water Quality Monitoring and Assessment Report. For access to DEP GIS tools such as eMapPA, select “Data and Tools” from the DEP homepage, then “GIS” (eMapPA is also available by selecting “Tools”). For access to the DEP eLibrary system, select “Citizens” from the DEP homepage, then “Public Records and Documents”. Items from eLibrary that MS4s may find useful include information on Snow Management and Disposal, Rain Gardens and Rain Barrels, Swimming Pool Water Discharge Guidelines, Management of Cleaning Wastewater, Chapter 92a Fees, the PA Clean Streams Law, the Stormwater Management Act (Act 167), the PA Stormwater BMP Manual, Stream Improvement Program, Flood Prevention and Management, Erosion and Sediment Control Requirements, Soil Erosion and Sediment Pollution, Urban Wetlands, Permitting Options for Flood Damaged Bridges and Other Water Obstructions and Encroachments, Emergency Removal of Debris from Streams, General Permits for Work in Waterways, Floodways and Wetlands, and Reporting Requirements for Spills and Pollution Incidents. MS4s can use the above information to revise their stormwater websites to provide accurate links. Please also review any links you may have for EPA Stormwater/MS4 information. EPA revised their links in 2014 and many MS4s still have inoperative EPA links. Please refer to my 8-1-14 email for EPA links that work. In addition, the EPA Nonpoint Source Outreach Toolbox provides an abundance of examples of educational/outreach and survey/evaluation materials from across the country. The StormwaterPA site provides useful information about stormwater runoff and management, including videos and information on stormwater best practices. The Temple – Villanova Sustainable Stormwater Initiative maintains a regional Stormwater BMP database.